commented on "Not content with defeating his older brother Henrik, and other runners many years his senior, in winning the 5000m (see photo) at the ..."
This youngster has SUPER-FAST genes! 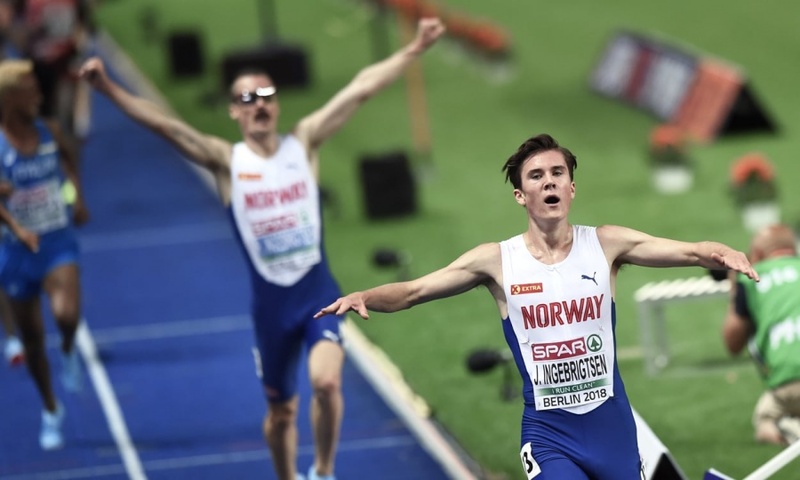 Not content with defeating his older brother Henrik, and other runners many years his senior, in winning the 5000m (see photo) at the 2018 European Champs (plus the 1500m), now Jakob Ingebrigtsen NOR has started the new year in record-breaking form. At the Bærum Nordenkampen, International Indoor Match NOR vs SWE vs FIN vs DEN/ISL, he managed to trim 0.07 of a second off the IAAF World U20 Indoor Record for 1500m, leaving opponents many metres behind.